Is there any product that will kill the Culicoid Gnats in my horse pasture/stable area without killing the horses & the stable dogs/cats too? The gnats make the horse’s lives awful from spring to fall and nothing we spray on horses repels them so we keep fly masks and fly sheets and fly boots covering every inch we can. But a couple of the horses are so allergic to the bites, that it becomes a huge health issue. It would have to be a chemical/substance that would be safe for the horses to graze/eat the grass after dry, or a reasonable period of time. Thanks for your input. We have one concentrate that is actually labeled for use on farm animals including horses so it would be an ideal product for this problem. This way you’ll only have to worry about using one active. 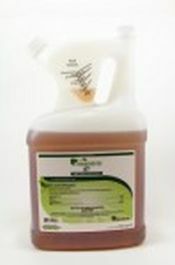 Known as ESSENTRIA IC, this product uses food grade actives making it very safe for use around people and animals. Essentria can be applied as a pet “dip” too so you can spray it on your horses using any standard PUMP SPRAYER. 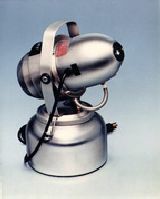 You can also fog it out using a FM6309 or BACK PACK FOGGER. 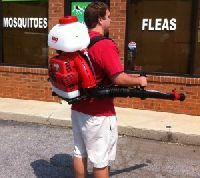 The fogging machines will enable you to treat large areas quickly so any biting midges, mosquitoes, gnats, horse flies, biting flies, etc. can be controlled in the barn and around the farm. The great thing about Essentria is that you can use it safely in any building, stables and afield. And it can be used around any food like grain and hay. I need an estimate on 2 of your products. Total price please. Can you be a little more specific? What I mean is what kind of “estimate” do you need? I ask because if you click the links above, you will be able to see our products in our shopping cart where prices are listed. And if you enter your zip code after adding the items you want to get to your shopping bag, our cart will display shipping costs so you’ll be able to see exactly what it will cost to get anything needed to control this pest. Now if you need more help determining how much material you’ll need to apply, just email me more specifics (like how large of an area you’re wanting to treat, etc.) and I’ll try to further assist.